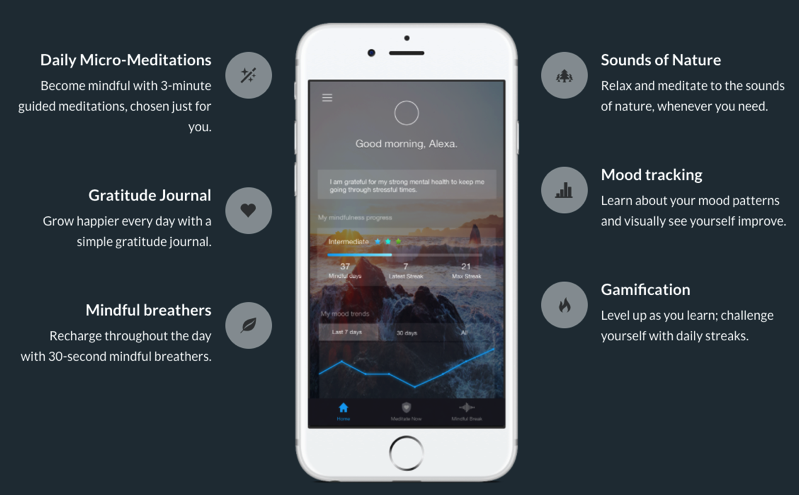 Aura is an iOS app created by top meditation teachers and therapists, personalized by artificial intelligence and is available for free. But if you want extra features only available in the Premium version, you’ll need a subscription. Right now, in our Deals Store, you can get a premium lifetime subscription for 84% off at $59.99 USD, saving you $340 USD. But it gets better—use limited time coupon GIFTSHOP15 to save an additional 15% off, taking the price down to $50.99 USD. There are daily micro-meditations, sounds of nature to help you relax, a gratitude journal, mood tracking, mindful breathers and gamification to help you stay motivated. If you want to live a more positive life, Aura will help you do so. Click here to jump on the Aura Premium Lifetime Subscription while it’s still available.